Shellfish allergies are among the most common food allergies and can be quite severe. Shellfish encompass marine animals with shells such as shrimp, lobster and crab, as well as mollusks like scallops and squid. Some people are allergic to all shellfish, but others are only allergic to certain species. Allergies to crab, lobster and shrimp are the most common and reactions to crustaceans tend to be more severe, sending more people to the emergency room than any other allergen. Finned fish and shellfish are not related families of food, so being allergic to shellfish does not necessarily mean that one also needs to avoid fish. When are shellfish allergies discovered? Unlike other food allergies that impact babies and young children, shellfish allergies typically do not develop until later in childhood, adolescence or adulthood. Around 60% of people with a shellfish allergy experienced their first allergic reaction as adults. 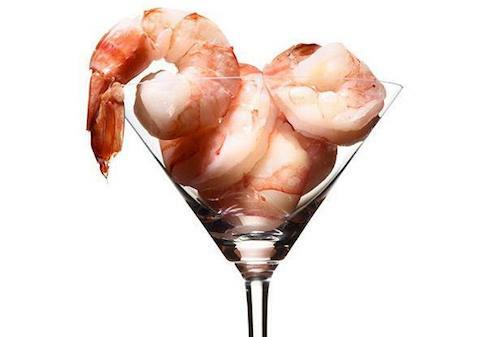 The only way to prevent an allergic reaction is to avoid consuming shellfish. Read food labels carefully for your allergen. Because shellfish is one of the Top 8 allergens, the federal government requires that all packaged food products clearly list them as an ingredient. Learn how to read a food label for shellfish ingredients before consuming packaged food, and be sure to always check for precautionary “may contain” statements with cross-contamination warnings. Note that these regulations don’t apply to mollusks such as clams, oysters and scallops. When dining out in restaurants, always check to ensure that the pan, oil, or utensils used to prepare your meal weren’t cross-contaminated with other dishes containing shellfish. Consider avoiding eating at seafood restaurants as there is a high risk of cross-contact. Some people react after touching shellfish or inhaling the steam from cooking shellfish.